So it's been a while since I did a beauty review, huh? 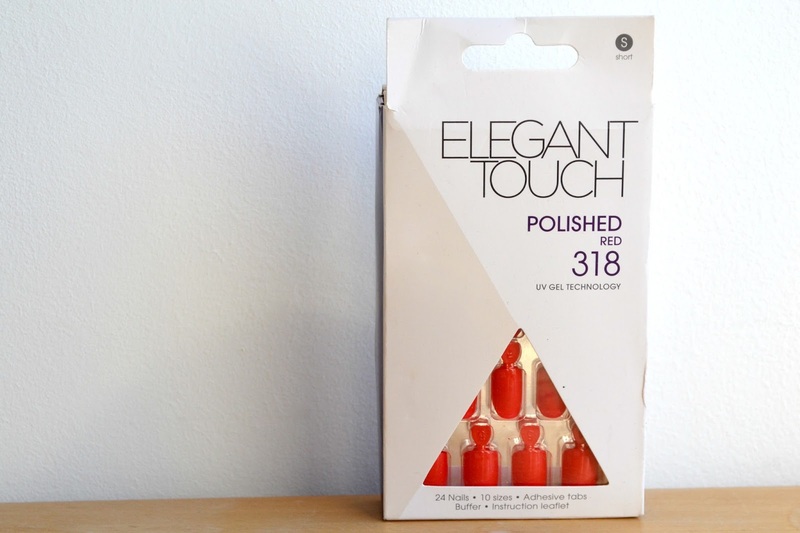 I've been wanting to get back into them and thought I'd dive in with a review of the Elegant Touch Polished False Nails in Red. These have been knocking around my place for a while but it's been a long time since my nails were short enough for me to need them! Alas, I had a mishap with a pile of books. 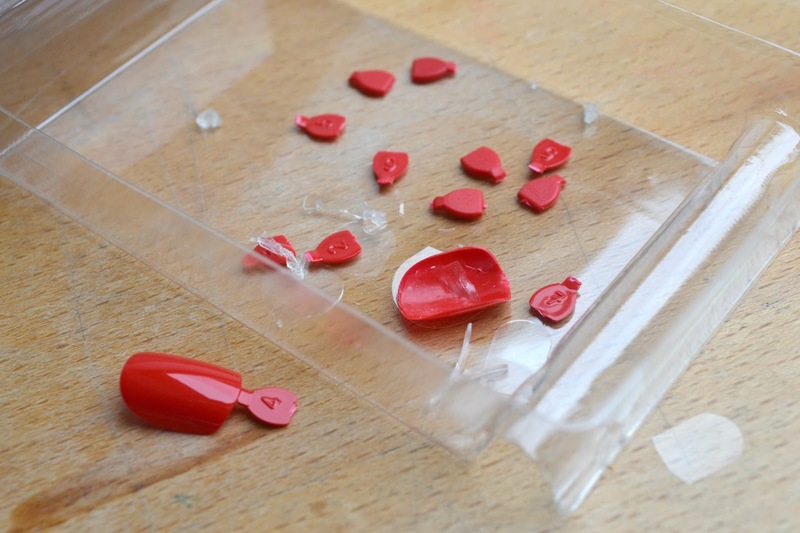 This set came with 24 nails in ten sizes, the adhesive tabs and a buffer. They were the short style in red. The instructions were simple enough! 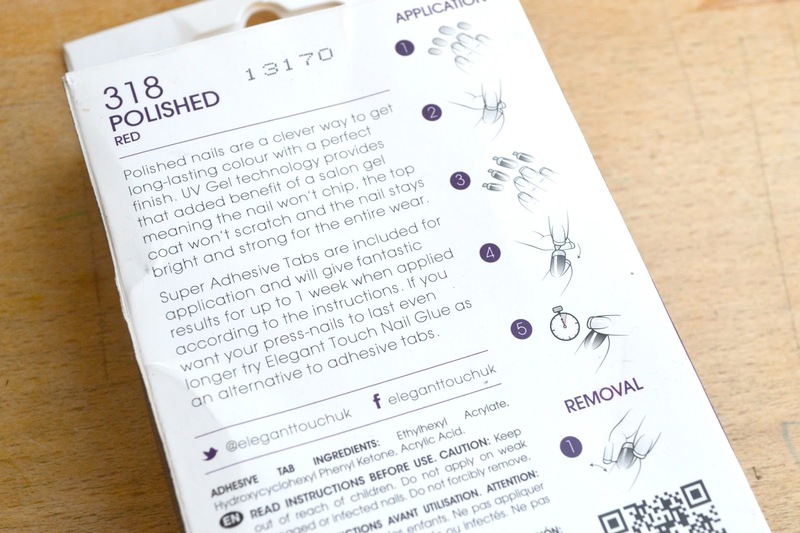 Pick out all the false nails to match the size of your own, buff (I always skip this step for the health of my nails), stick on the adhesive tabs and remove the backing plastic, apply the nails then rub them for five minutes to make them stick. To get them off, wiggle and pull. Simple! The adhesive tabs were a bit of a pain. 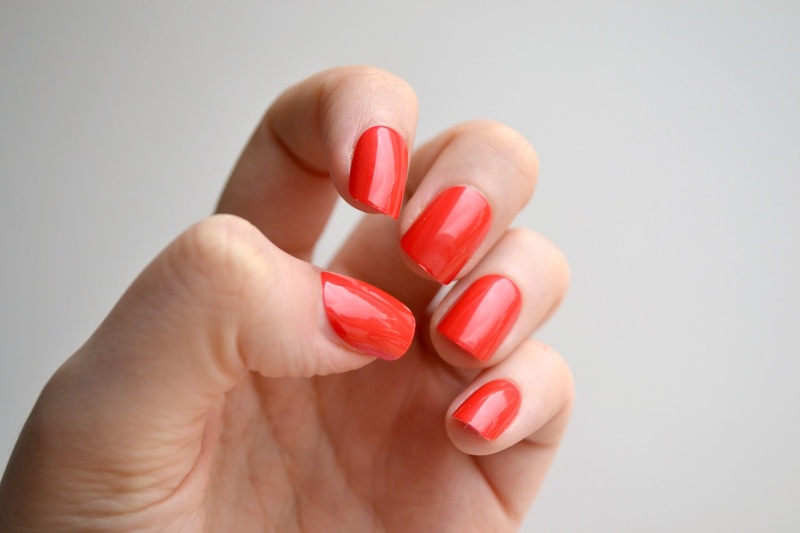 They didn't really fit my nails and they were quite thick but easy enough to apply. I did have to cut some down to size though. I feel this step took the longest time and could've been easier. And this is what they look like on! 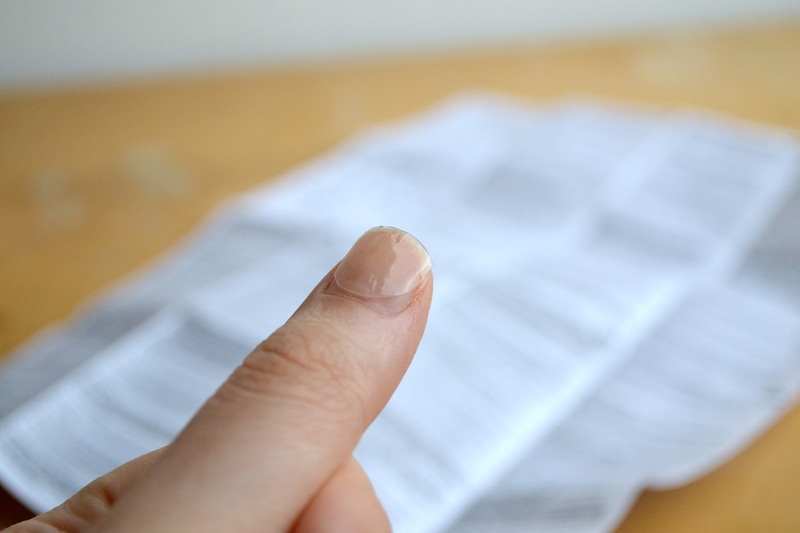 They're actually not too bad, they fit pretty well with just a little gap at the sides sometimes and even though the adhesive tabs are thick- they are close enough to the nail that things don't get underneath them. Except for hair. Putting my hair up with these is a pain. 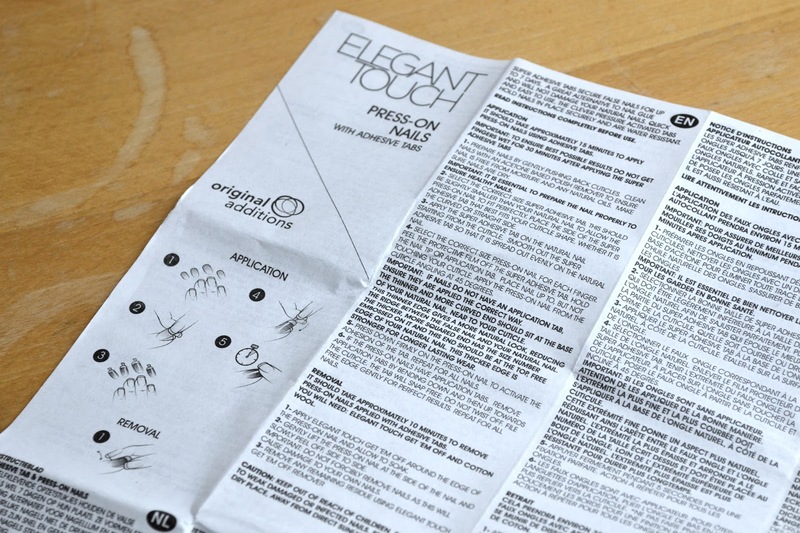 Basically, all the problems I had with the imPress press-on manicure were okay with these except the hair thing. And there is quite a bit of mess at the end! 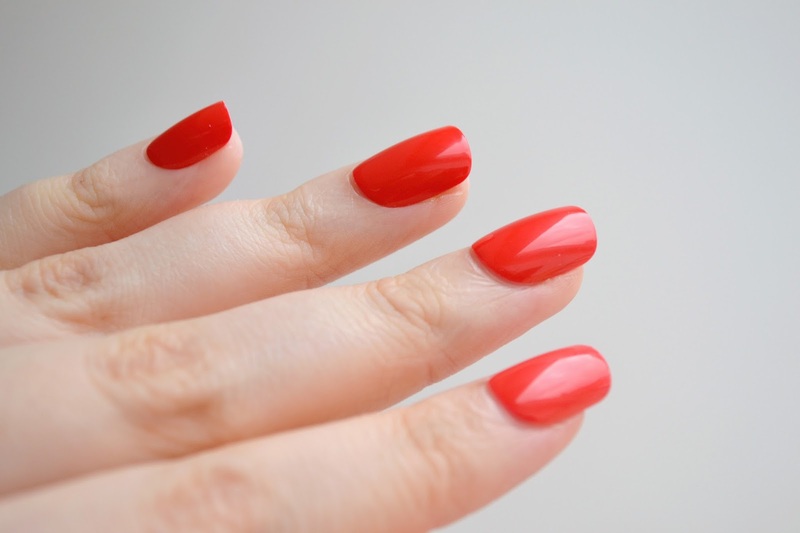 Have you ever tried these nails? What did you think? *I was given these at an event. I am not obligated to talk about them.